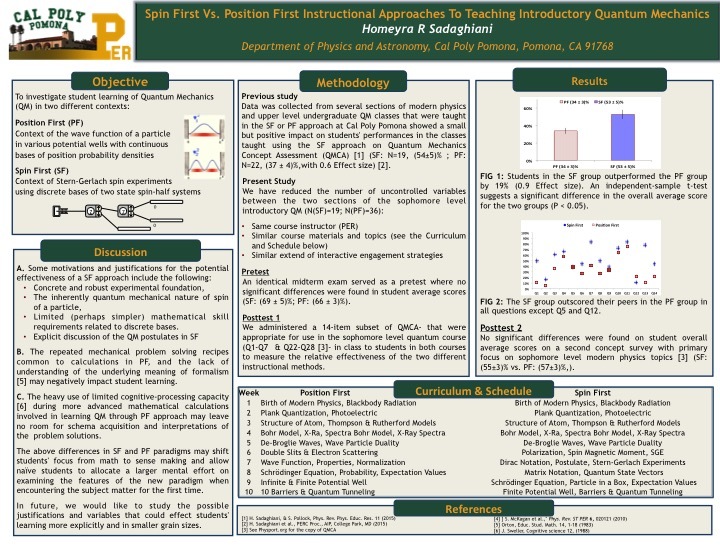 As part of ongoing research in teaching and learning quantum mechanics, we are investigating student learning of basic introductory quantum concepts in sophomore level Modern Physics courses at Cal Poly Pomona in two different contexts. In one approach, postulates of quantum mechanics are introduced in the context of spatial wave functions of particles in simple potential wells (Position First). The second approach uses a Stern-Gerlach experimental context with discrete bases (Spin First). We will compare students' scores on a subset of Quantum Mechanics Concept Assessment (QMCA) and discuss the implications for instructors of introductory quantum courses.